Cricket Australia have announced their squad for the forthcoming ICC World Cup which will commence from May 30th. 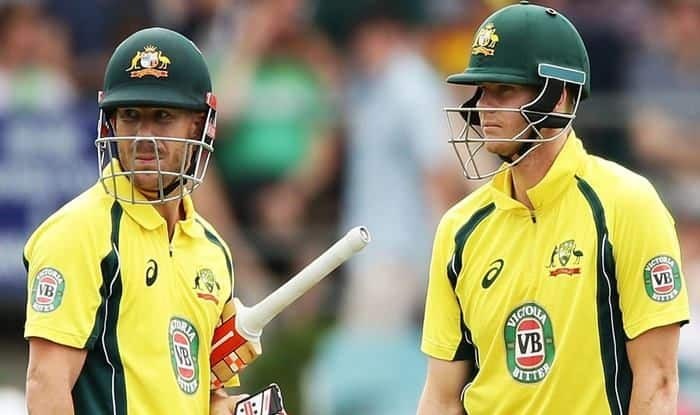 Cricket Australia on Monday announced their 15-man squad for the forthcoming ICC World Cup 2019 featuring former captain Steve Smith and vice-captain David Warner, who have been named after their 12-month ban for ball-tampering. However, there was no place for In-form batsman Peter Handscomb and quick star Josh Hazlewood. Since his recall to the one-day squad in January, Handscomb has delivered a commendable performance but with the returns of both Smith and Warner solidifying his place in the squad was always going to be difficult. The batsman averaged 43 in 13 games this year, including a maiden ODI hundred in India, and scored at a strike rate of 98 during that time but it wasn’t enough for a call-up. Usman Khawaja, the leading ODI run-getter of 2019, has expectedly sealed his place having tallied impressive numbers of 769 runs at an average of 59.15 in the calendar year so far. Alex Carey has made in what is his maiden World Cup as wicketkeeper. Pacers selected are Mitchell Starc, Jhye Richardson and Jason Behrendorff with Marcus Stoinis the seam-bowling allrounder.